If your house is not as beautiful as before, or you decide to sell, you should think about how to update it. May from cracks pulls a draught, roof leaks or the house does not hold heat. All these problems are easily solved with the help of modern technologies and materials, but if you hire a construction crew, and worry practically nothing to have. Anyway, to update an older home, you must perform the following steps. Start giving the housea new look with Windows and doors. No insulation will not work if doors and Windows are warped and cracked, so replace or otrestavrirovali them. Then go to the roof. A revision of the truss system. If it is strong enough, simply remove the debris, leaves, twigs, and repair minor damage. Then, right on top of the old cover, install the counter lathing and furring. If possible, lay a special waterproof film for better insulation. Can also put the insulation and vapor barrier film. After all the preparatory work, install new roofing, for example, Onduline, metal or a Keramoplast. If the examination of the roof system revealed significant damage, the roof is in very poor condition, remove it completely. Let dry a few days the sling system, antiseptic. Replace all damaged and worn out rafters. Then install the roof as in the first case. Make proper drainage so that water from the roof did not fall on the external walls and the plinth of the building. Start the update of the walls. If the walls of the houseand are composed of a solid, well-preserved logs, which hold heat well, just saturate them with a special compound, prokonopatit again and paint. If you want to protect your walls from the adverse effects of the environment and make the facade more eye-catching, use the siding. Buy the necessary amount of material and bring a repair team, please note that service workers will cost not cheaper than cost of material. If you are confident in their abilities, attempt to upholster the walls of your houseand siding. Regardless, brick or wood you have a house, it can be plastered, but be sure to make wooden crate. When the plaster layer is fully dry, cover it with any decorative material to your liking: ceramic tile, marble, granite, decorative plaster or just paint. Before you take to update the old house, carefully review its condition and calculate all costs (including labor). 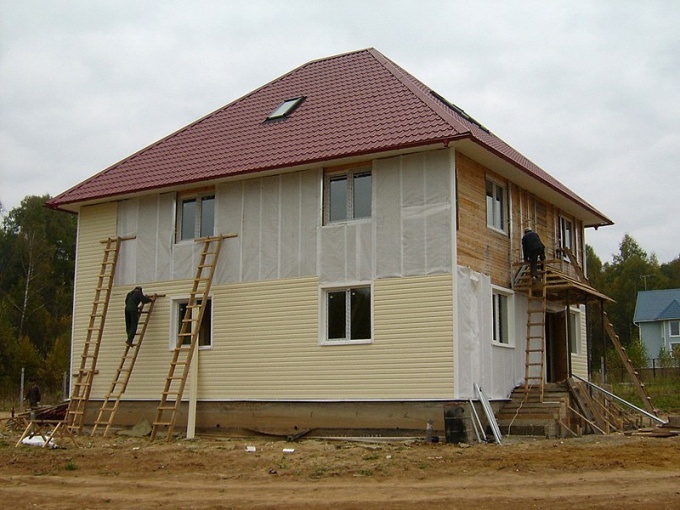 It is possible that it would be cheaper to build a new house.